I’m trying to put my toddler to bed but the Sim just waves and nothing happens. Waving Sims usually point towards a routing issues – something is in the way and the Sims can’t reach the objects. In the case of reading to toddlers or putting them to bed, the cause is mostly that the long side of the bed is directly adjacent to a wall. or other objects nearby blocking. The action often gets canceled when a toddler asks for a bedtime story and the Sim that’s supposed to read it is rather far away. This happens a lot if the toddler is really tired or has otherwise low needs. Move the bed so only the short side is against the wall. This makes it work better. 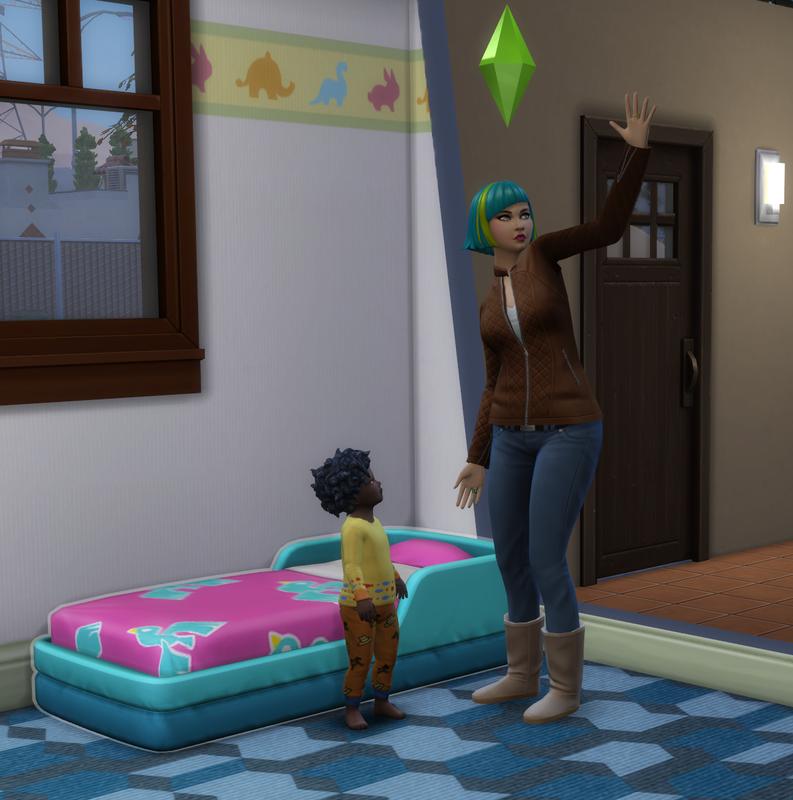 Make sure the Sim that’s supposed to read the book is in the same room as the toddler asking for the bedtime story or initiate the interaction with the reading Sims instead of the toddler.